Software came a long way since VisiCalc. Today, there are tons of specialized solutions for everything a business needs: invoicing, CRM, file management, mailing, document editing — and countless all-in-one solutions which combine any of the above. We know this. We could’ve made ActiveCollab do everything. But, by design, we didn’t. ActiveCollab is a project management app to ease collaboration. It must solve a set of specific project management problems. Now, project management is a broad field — it’s easy to fall in the trap of trying to solve needs that are specific to widely different users: a digital agency in New York, a sheriff’s department in Dakota, and a digital nomad in Chiang Mai. But with the redesigned ActiveCollab, we’re focusing on project management and really mastering the domain. In the past, we used to dole out features very often. We thought “Wouldn’t it be cool if you could do this and that”, implemented the functionality, and shipped it. The result was a really complex app that did a lot of things. To be honest, all those features WERE being used, but not enough to warrant their inclusion. One tiny set of customers couldn’t work without a certain feature while others didn’t need it and it only created clutter. This lead to experience rot. So, our existing users got more and more functionality (some which they used, some which they didn’t), but it came at a cost of acquiring new users. In the past, getting a user was easier. But in today’s oversaturated SaaS market (where app ideas are dime a dozen) you really have to pay a special tribute to UX. If the user has to think how to use your app — baby, they’re gone. Once someone decides to make a trial, we need them to keep using the app for more than a minute. And how to do that? Not scaring them definitely helps. Users come to our website looking for a project management app and, judging by the screenshots, it looks pretty enough to try. But once they open the app, we need to make the process of making a project and adding the first task as easy as possible. If they (or their coworkers) don’t survive the attention test, they’ll just close the tab and we’ll be just a blip in their browser’s history. But if we hold their attention for at least a minute, every next minute is exponentially easier. And the way to hold their attention is to make it clear what the app does. But that’s hard if you offer a million things to do. We collaborate with a lot of people, exchange a lot of emails, and get updated on many items. ActiveCollab provides a place for people to put all that info in one place so others don’t have to call and send emails asking where something is, or write phrases like “touch base” and “circle back”. There’s no need to implement our own code repository and complex invoicing calculations. There are better solutions for that, solutions that are constantly perfected and that people already use. The team at Intercom had a great product management approach: If users don’t love a particular feature, axe it. Sure, some users will be disappointed, even leave you; but the new users will get a much better experience and you’ll be able to focus on what you do best, instead of dividing your attention across half-baked functionality that’ll get used 15% of the time. You need to define what problems your core product solves and see if a requested feature accomplishes that goal and for how many people. But what do you do with features your users need but are not part of the core problem you’re solving? Integrations. This is the direction software development is headed. Integrations are perfect. You get to focus on developing your core features and leverage other people’s work, as well as letting others leverage your software. It’s a win-win situation. 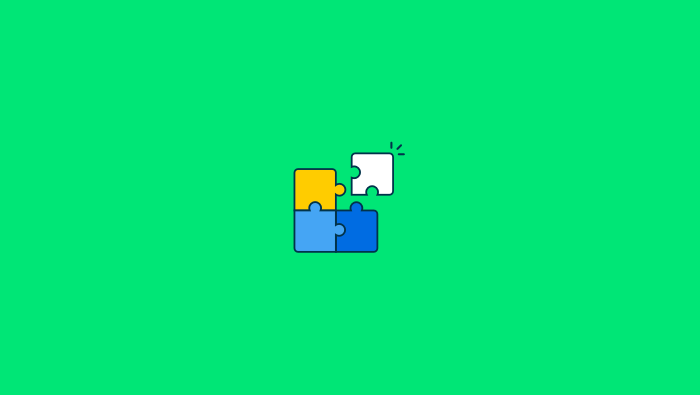 We’re having a lot of integrations on our roadmap, but first, we have some more polishing and bug squashing left to do in ActiveCollab itself. We’re very excited and can’t wait to make ActiveCollab start playing with the other apps.